“We Are FLOC” is a place for our members to share their experiences and stories of how the union has impacted their job and their lives. 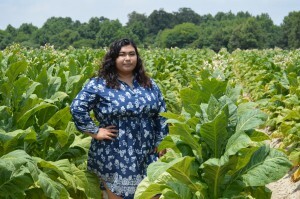 Thanks to the tremendous work of our members, we continue to organize hundreds of new members each year, train and educate thousands of farmworkers on their labor rights, resolve countless grievances on farms throughout Ohio and North Carolina, form new community organizing committees, and expand the campaign to press tobacco companies to respect freedom of association. Please consider supporting our members and their organizing work by donating $25, $50, $75 or any amount you are able. We rely heavily on donations, as membership dues barely cover the costs of operation. 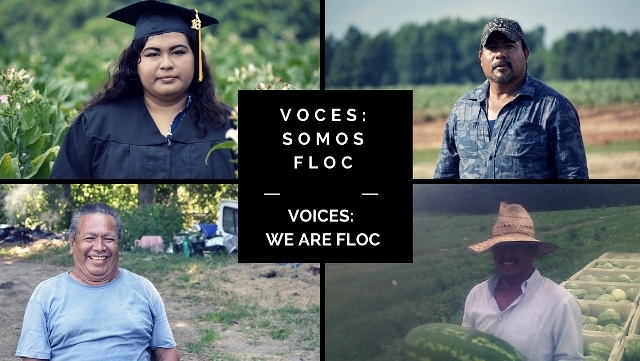 You can donate online here through the Campaign for Migrant Worker Justice, which supports much of FLOC’s training and education work. Or, you can mail a check to FLOC or CMWJ at 1221 Broadway St. Toledo, OH 43609. Growing up, Jackkie watched her single mom struggle to work and take care of her family of five. So, one day Jackkie put on her own gloves and went to work in the tobacco fields. Every summer, Jackkie suffered many of the same hardships as her older coworkers: nausea, vomiting, a sore and achy body, and verbal abuse and harassment from her supervisors. Jackkie’s sister introduced her to FLOC, and Jackkie found the support and resources she needed to fight back against the awful working conditions and abusive supervisors. Now, Jackkie works in a pepper factory, where she actively educates and organizes other workers. She founded a youth organizing committee within FLOC called the FLOCMigos, a group of youth who have worked in the fields, and are now coming together to learn about organizing and support local organizing campaigns to improve conditions in the fields. Read more about Jackkie’s inspiring story from the fields to the forefront of organizing. Rafael’s injury might have ended his field work, but it opened a new door for him: getting involved with the union. He worked with FLOC to file a worker’s compensation claim after his accident, and now he regularly attends FLOC meetings. In May, he went to his first union march and rally in Winston Salem, NC. Read more about Rafael’s experiences in the fields and how he’s working with the union to fight for safer working conditions, better pay, and union rights. Pablo, a father of three, has worked the fields of Virginia and North Carolina for 26 years. In 2013, he landed at a farm in Louisburg, NC, where he was offered extra work driving the van of workers to and from work and between the fields each day. When he noticed he wasn’t being paid for the extra hours spent driving, he confronted the grower. But the grower refused to pay. Pablo worked with the union to file a grievance, and won thousands of dollars in back wages for himself and another driver on the farm. For years, Pablo has watched growers exploit and silence workers on the various farms where he has worked, and now he is determined to do something to change it. He works tirelessly educating his coworkers about their rights under the union contract, and encouraging workers to speak up when there is a problem. Read more about Pablo’s story in English or en Español. Meet Gillary Lanzo. While most 18 year olds graduate from high school a little unsure of what’s next, Gillary knows exactly where she’s headed. And she has a heart full of passion, drive, and excitement to get her there. 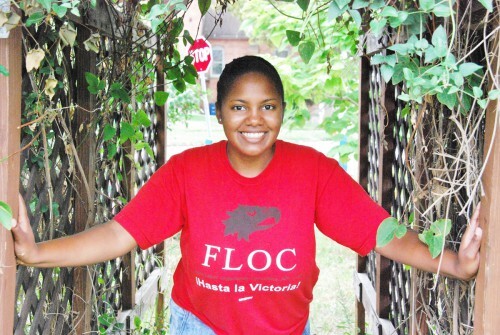 Gillary is one of FLOC’s rising leaders, and she brings her passion and love for her community to the FLOC Homies Union, a youth organizing committee based in our Ohio office. When she found FLOC, Gillary saw an opportunity to combine her love for animals, interpreting, and helping her community. She is an intern with a local dog groomer, and after her work there each day she comes to the FLOC office to volunteer as she’s training to be an organizer. 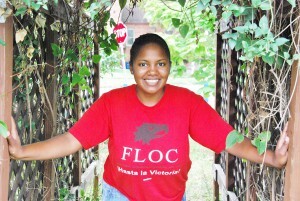 Gillary joined the FLOC Homes Union, and is working with the group to tackle issues affecting her local community, including sexual harassment in Toledo Public Schools, violence on the streets and racial profiling and discrimination by police, crumbling community infrastructure, and is organizing with other youth to build a more just and peaceful community. 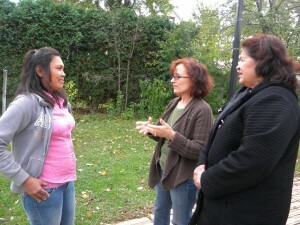 Read Gillary’s full story here in English or aqui en Español. 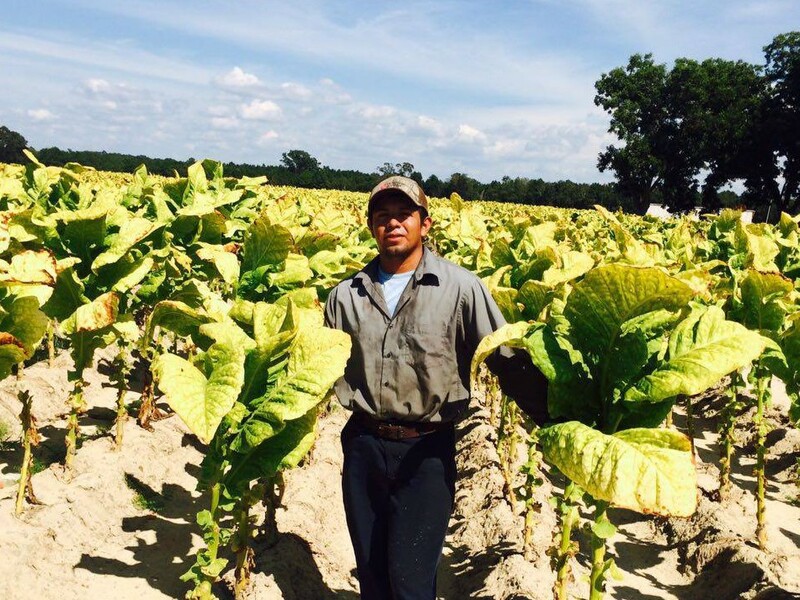 Abel describes his first experience working in tobacco as “a nightmare,” as he suffered serious side effects from nicotine poisoning. 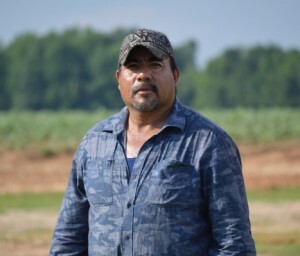 Despite his horrific experience, he has returned to work the fields of North Carolina each year in hopes of someday having his own home in Mexico, having more time to spend with his family, and owning his own business. During his third trip to NC, Abel joined the union, and found it was a source of strength and support to get through the season. Now he teaches others about the benefits of having a union contract, like job security and protection in case of an injury at work. Abel gets more involved with the union each year, and he’s always thinking about ways to negotiate more benefits for members. 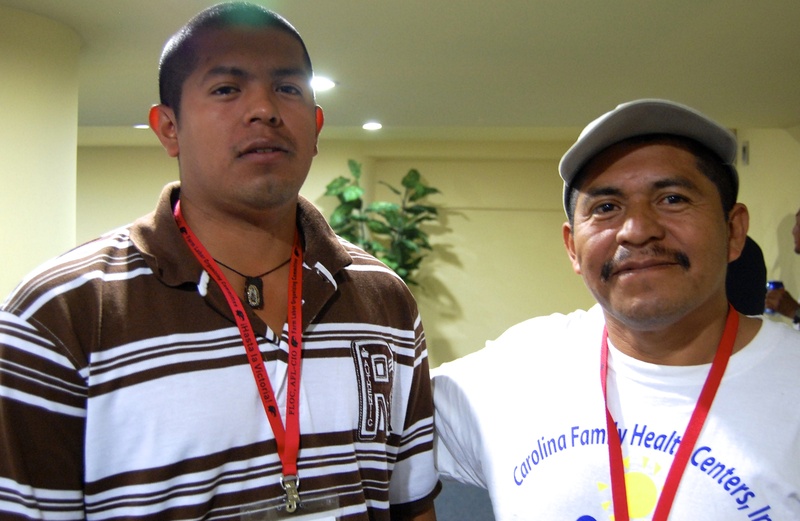 Read more of Abel’s story here in English and aquí en Español. Sesario is one of few FLOC organizers who can remember the union’s very first strike in 1968. Born in Texas, Sesario worked the fields from Texas to Minnesota with his family each summer, and eventually landed in Ohio, where he met Baldemar Velasquez. 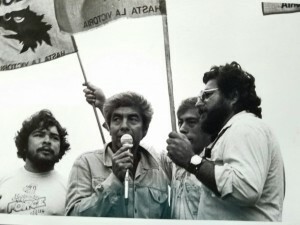 Sesario quickly became one of FLOC’s strongest leaders, and was instrumental in organizing farmworkers in the fields in FLOC’s early years. As FLOC celebrates its 50 anniversary next year, Sesario is proud to say that he has been a part of all of the major historic moments in the union’s history. 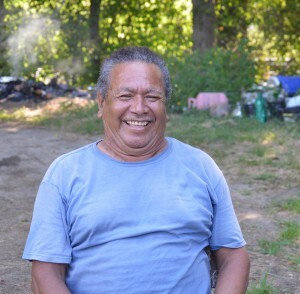 Read Sesario’s full story here.